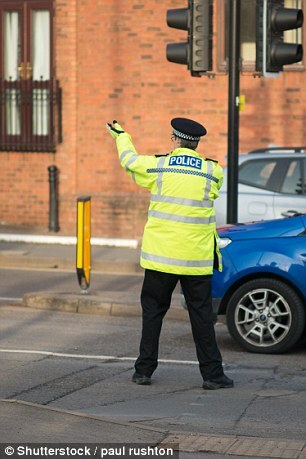 Drivers with poor eyesight face being stripped of their licences in a police crackdown this month. Every motorist stopped by traffic officers from three constabularies will be told to read a number plate from 20 metres. Anyone failing will have their licence revoked on the spot. 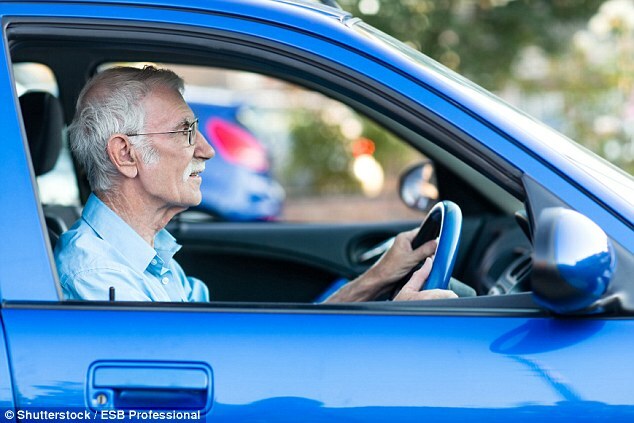 Opticians believe around a million drivers have eyesight that falls short of the required standard. But the tests from the police crackdown should give a more accurate picture. The initiative involves the Thames Valley, Hampshire and West Midlands forces and is supported by road safety charity Brake and high street optician Vision Express. Police spokesman Rob Heard said: ‘Not being able to see a hazard or react to a situation quickly enough can have catastrophic consequences.’ He warned that officers would carry out vision checks ‘at every opportunity’. Officers are able to ask for an urgent revocation of a licence through the DVLA if they believe a driver is putting the safety of other road users at risk. The power, which was introduced in 2013, is known as Cassie’s Law. It is named after 16-year-old Cassie McCord, who died when an 87-year-old man lost control of his vehicle in Colchester, Essex. The only mandatory examination of vision takes place during the practical test, when learners must be able to read a number plate from 20 metres. After this point it is up to a driver to tell the DVLA if they have a problem with their eyesight. Brake and Vision Express are calling for a recent eye test to be required when licences are renewed every ten years. Joshua Harris, director of campaigns for Brake, said: ‘It is frankly madness that there is no mandatory requirement on drivers to have an eye test throughout the course of their driving life. Research by the Association of Optometrists published in November last year found that 35 per cent of optometrists had seen patients in the previous month who were driving despite having been told their vision was below the legal standard. Based on this figure, it is estimated that around one million people could be driving illegally. Steve Gooding, director of the RAC Foundation, said: ‘The human cost of driving with failing eyesight and having an accident can be immeasurable. Campaigners have also called for a so-called Poppy’s Law, making it a legal requirement for medical professionals to report patients who are unfit to drive. This followed the death of three-year-old Poppy-Arabella Clarke, who was killed in 2016 by a 73-year-old motorist who had ignored warnings from his opticians not to drive and was not wearing his glasses at the time.